How nice it would be to weigh in on Peter Jackson’s The Hobbit without having to lament its newfangled double-speed 3-D 48-frames-per-second projection rate, which must be seen to be disbelieved. The immediacy of the ­actors is startling, but the background is weirdly foreshortened, the fakeness of the sets and makeup an endless distraction. Staginess does nothing for a ­fantasy-film epic. The dislocation caused me to miss great gobs of exposition in the first half-hour, which is all exposition, the grandeur of the Lord of the Rings trilogy having been replaced by something that resembles tatty summer-stock theater. 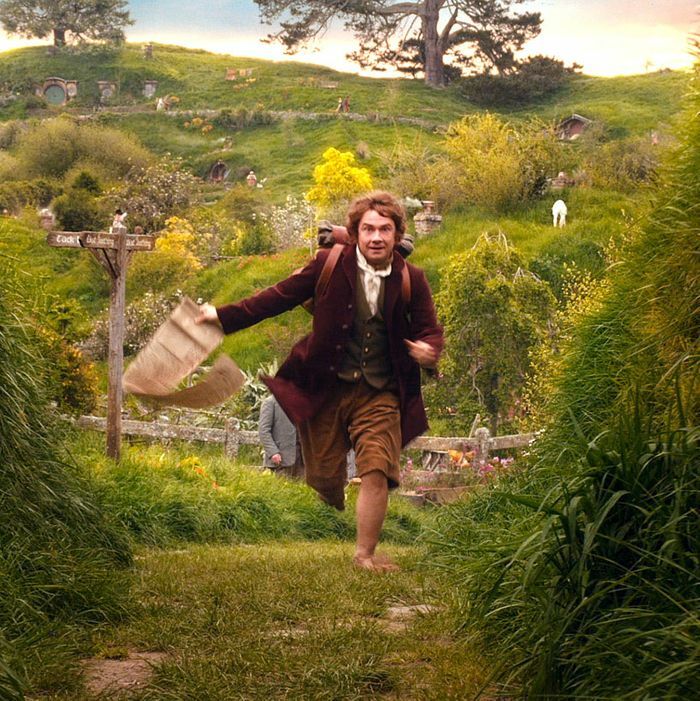 The Hobbit probably plays better at the normal frame rate, but how much better? Hard to say. Signs of bloat are everywhere. The relatively breezy Rings prelude—one book—doesn’t need to be stretched out to three long installments: The fractious team of dwarves looking to regain their homeland after many years of exile could have traveled the Great East Road, fought the requisite orcs and dragons, and still had time for a song or two in one movie. Martin Freeman as the young hobbit Bilbo mugs his way through the first half (the invasion of his home by dwarves and Ian McKellen’s Gandalf is like the Marx Brothers stateroom sequence stretched out to an hour), but he wins you over in the one stupendous scene: a potentially lethal contest of riddles with Gollum, once again embodied by Andy Serkis plus CGI. Gollum is more chilling this time, his Uriah Heep obsequiousness yet to come, a violent flesh-eating psychopath with voices in his head telling him to kill. The duel with Gollum, set in a cave, is like a one-act play, and makes me think this technology would work for, say, filmed theater and opera, where the uncanny presence of the performers would be something to treasure and the artificiality wouldn’t matter. Meanwhile, we have the prospect of two more Hobbit pictures, which are sure to be less exciting than discussions of pixel resolution, scan lines, and refresh rates.